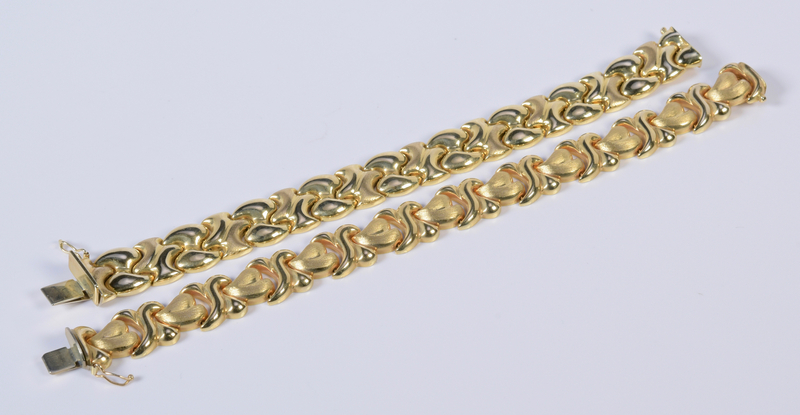 1st item: 14K yellow gold link bracelet with alternating satin finish hearts and bright finish "X" links, 7 5/8" L x 1/2" W. Marked 14Kt ITALY. 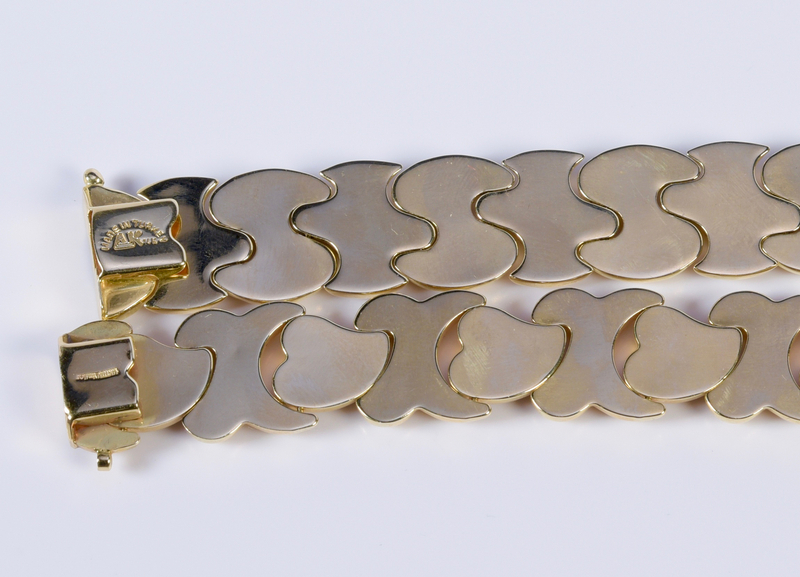 17.1 grams. 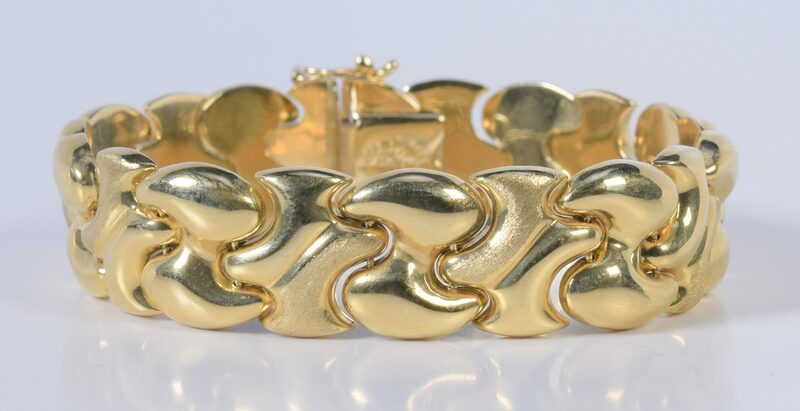 2nd item: 14K yellow gold link bracelet with alternating puzzle links, bright and half satin finish, 6 7/8" L x 1 1/16" W. Marked 14K Made in Turkey, 20.8 grams. 37.9 grams total. 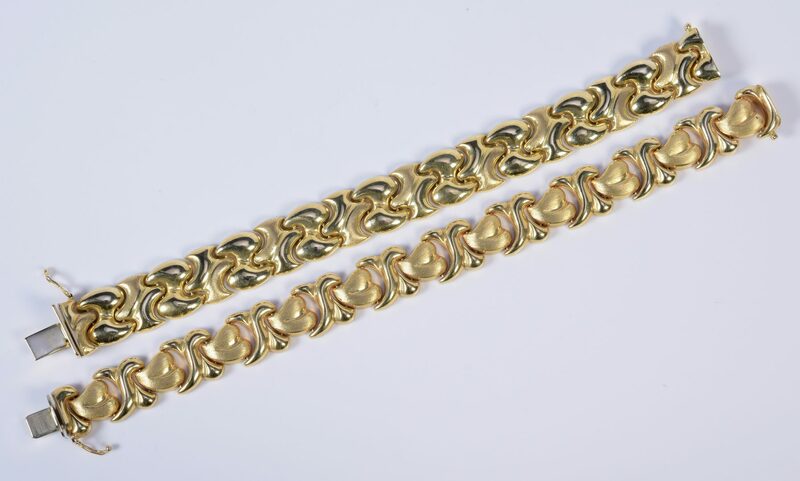 CONDITION: Both bracelets in very good condition with minor surface scratches.